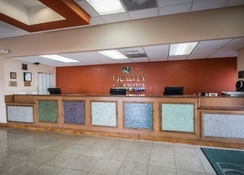 Based in a suitable location to explore the wonders of Orlando and everything the area has to offer tourists, Quality Inn & Suites Eastgate provides a relaxing atmosphere for your holiday in Florida. With a complimentary continental breakfast and on-site Indian restaurant, there are also various eateries in the local area. If you are visiting the theme parks in Orlando then the hotel provides a shuttle service and it is also close to several golf courses and shopping malls. 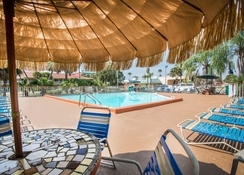 Quality Inn & Suites Eastgate is close to Disney’s Hollywood Studios, Epcot, SeaWorld, Walt Disney World and Universal Studios and offers a cost-effective place to stay for solo travellers, couples and families with children. 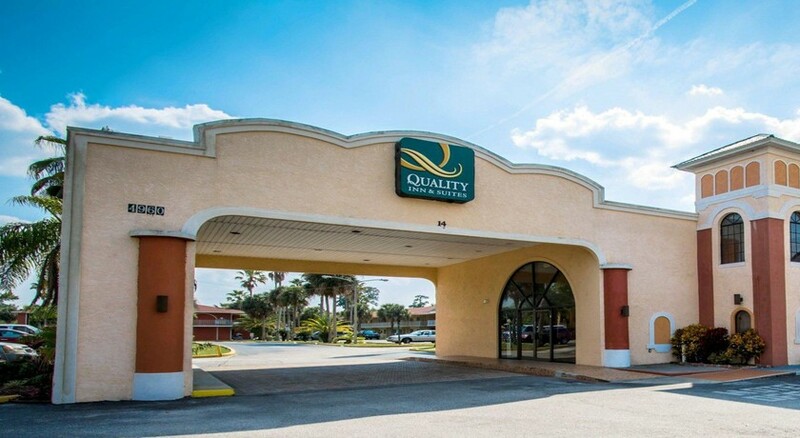 Quality Inn & Suites Eastgate is located in Kissimmee which is just outside Orlando but offers an easy way to get to the main sights. There is a shuttle service from here to the theme parks. Disney’s Hollywood Studios (5 miles), Epcot (5.1 miles), SeaWorld (5.4 miles), Walt Disney World (8.4 miles) and Universal Studios (9.7 miles) can all be reached. The Orlando International Airport is 12.6 miles away. 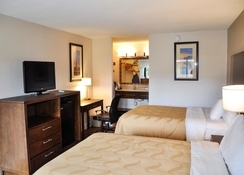 The rooms at Quality Inn & Suites Eastgate sleep between two and six people. Standard King Rooms have one extra-large double bed, Standard Double Rooms have two double beds, Double rooms have two double beds and have smoking and non-smoking options while you can also stay in a Double Suite with Sofa Bed. All the rooms and suites at the property come with Wi-Fi, cable TV and some with have a fridge and microwave. 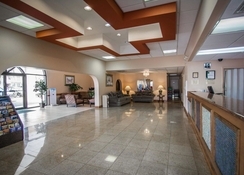 Quality Inn & Suites Eastgate has an on-site Indian restaurant and there is also the option of having a continental breakfast in the morning. There are a variety of eateries in the nearby area including Smokey Bones, Olive Garden, TGI Fridays, Chilli’s as well as a selection of supermarkets. 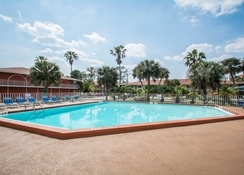 There is an outdoor pool at the accommodation as well as a playground. 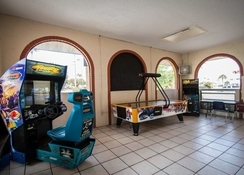 A shuttle service will take guests to some of the biggest attractions in the area and within walking distance there are facilities for go-karting, mini golf, and Capone’s Dinner and Show. Shoppers have lots of options including Lake Buena Vista Factory Stores and Kissimmee Value Outlet Shops ate both 1.3 miles away. The nearest golf course is Falcon’s Fire Golf Course which is 1.5 miles from the property.